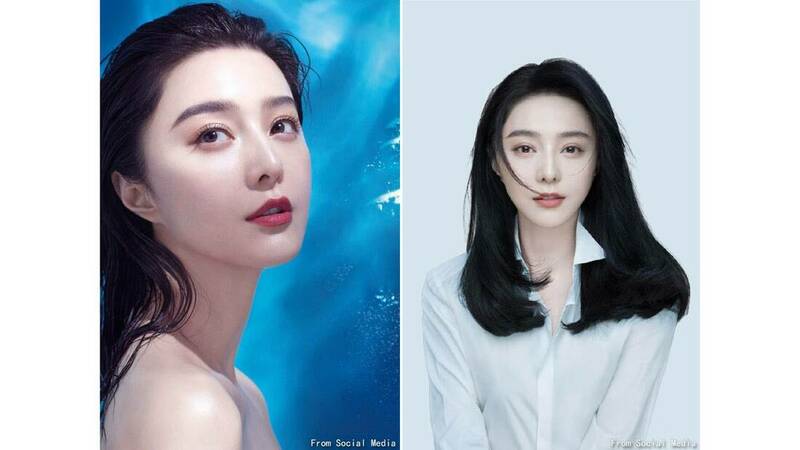 Days after she made her first official appearance in six months, Chinese actress Fan Bingbing has announced the launch of a beauty brand, Fan Beauty. Billed as the founder of the brand, the actress features prominently on the pictures and promotional material posted by the brand on their social media sites. The first product launched by the brand will be a hydrating face mask, as Bingbing has always loved such masks. Dubbed the “queen of face masks”, the actress is said to always have a face mask on whenever she’s not working to refresh and pamper her skin. It was once reported that the actress uses over 700 masks a year. ​This will mark her first official foray into skincare and beauty, as the actress was previously said to have invested in a new beauty salon that opened last month. The masks were reported to have been developed under the watchful eye of Bingbing, who even traveled to South Korea to understand more about the technology behind the production of the products. She is reportedly launching these products in Hong Kong, with plans to export it to more territories in the near future. 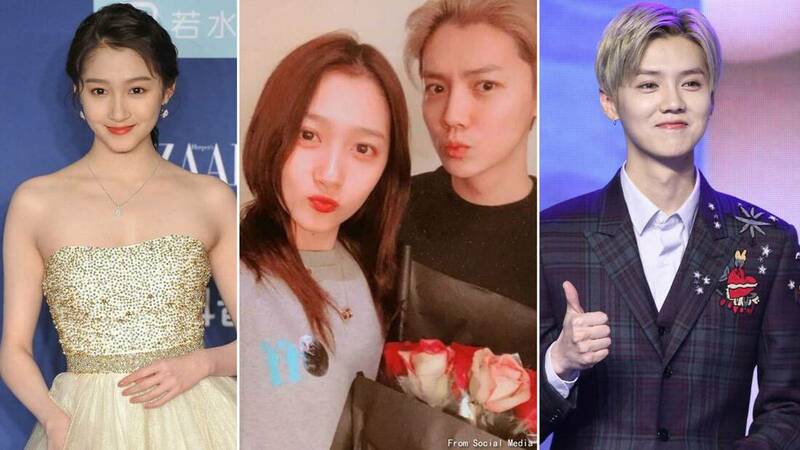 ​Chinese singer-actor Luhan announced his relationship with his Sweet Combat co-star, Chinese actress Guan Xiao Tong in October 2017, after getting to know each other whilst filming the drama. Since then, the couple has not shied away from public displays of affection both online and offline, with the lovebirds often mentioning the other in their posts. For Luhan’s 29th birthday on April 20, Xiao Tong made sure to send out a post wishing him a happy birthday, attaching a number of pictures she had taken of him. As Xiao Tong had a work schedule on his birthday, she was unable to spend most of the day with him. However, once her work ended, the actress was spotted out together with Luhan having dinner, and heading to his place after that. The next day, Xiao Tong had to head to the airport for work, where she was seen wearing the same checkered jacket she had worn the previous day. Fans also noticed that she was wearing a cap that Luhan wore the previous night. As a result, it's believed that Luhan and Xiao Tong might be cohabiting to prepare for marriage. Luhan had previously shared in interviews that his parents are eager to have a grandchild, and that he wishes to tie the knot by the age of 28. In January this year, reports had surfaced alleging that the couple was planning to register their marriage on January 4. However, both Luhan and Xiao Tong denied the reports. ​Hong Kong actor Kenneth Ma has been put in an awkward position recently after his girlfriend, actress Jacqueline Wong, made headlines for having an affair with Andy Hui. The actor had previously shared that he plans to marry her, and a recent ring purchase further fuelled speculation that he was ready to pop the big question and settle down with her. After the cheating scandal came to light, he quickly shared with the press that he is no longer angry with her, but did not confirm if they are still together. It’s been over a week since the scandal broke, and Jacqueline is said to have locked herself at home, raising concerns about her mental health. However, new reports from Hong Kong media claim that part of the reason for her doing so is because she is constantly trying to make up with Kenneth, who has dumped her. Her explanation to him is that she had too much to drink on the night of the incident, and still treasures their relationship. Kenneth’s close friends are also said to be against him continuing with their relationship, especially after her colourful past was revealed. Industry watchers claim that part of the reason why Jacqueline wants to reconcile with Kenneth is because her reputation is so tarnished that her only way out is to have him support her publicly. TVB Executive Virginia Lok previously shared that the actress is “not ready to face the public”, and the station has cancelled all her upcoming work plans indefinitely. In related news, Jacqueline’s father was approached for a comment on his daughter’s scandal, to which he replied that he “doesn’t know what to say”. ​Singapore - Artiste Danielle Gan was in Taipei, Taiwan, for various filming of TV variety shows and other promotional programs and was cordially invited to famous noodle brand- NoodleMix (禮面作) for promotional filming. Thanks to Danielle, we now know of another place to visit for Taiwanese noodle delicacies. NoodleMix was originated from Tainan and they are focused on creating the most authentic noodles from all over Taiwan. While creating freshly made noodles for its own people, they did not forget to share the taste to those who could not taste them. ​Danielle was delighted to share the gift sets with her audiences in Singapore and Malaysia. A few variations were available, including the Premium Noodle Gift Set and Special Sauce Set. The Premium Noodle Gift Set comes in 5 different noodle types and sauces. Each of the noodle types compliment with the sauces packed together. Some of the flavours are Sesame sauce, Mala sauce, lard oil just to name a few. The Special Sauce Set comes in 3 different flavours- Sesame sauce, Spicy Mala and Fragrance onion. ​Bring back NoodleMix Gift Set next time you are in Taipei and taste the authentic Taiwan taste for premium noodles. ​Taiwanese actress Ady An made her first public appearance since announcing her pregnancy in mid-March at a jewellery brand’s Mother’s Day event in Taipei on April 24. At the moment, Ady has not decided if she wants to give birth in Taipei, Macau, or Hong Kong, but she has already prepared all the necessary baby products. “I have bought enough clothes to last him until he is 4 or 5 years old!” she laughed. The couple has already purchased additional space in their home to prepare for the new arrival to their family. ​Chinese actor Hu Ge has consistently mentioned his mother during interviews, as the 36-year-old shared that she has strongly influenced his outlook on life. However, he usually refrains from posting photos of her, which is why his post on April 24 took many by surprise. He included a photo of himself with his mother and captioned it with, “Dedicated to a lady who’s far away (now)”. Soon after, his friends began leaving comments assuring him that “auntie's in heaven now, don’t worry any more”. 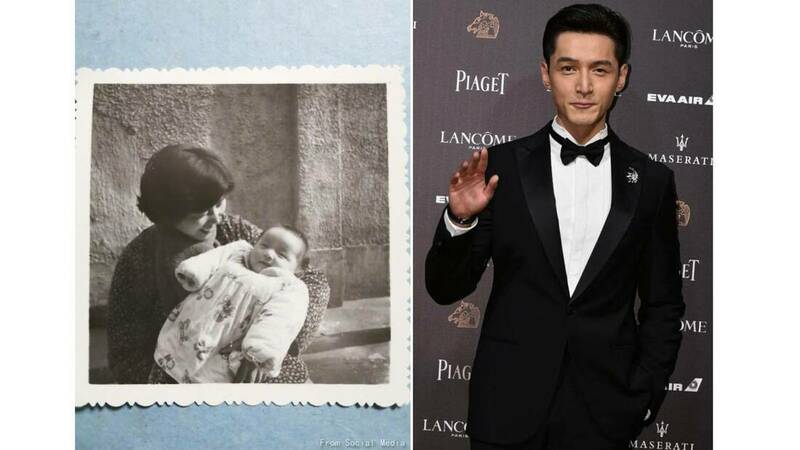 In 2017, Hu Ge shared that his mum was diagnosed with breast cancer when he was five, and has been battling the cancer since then. “My mum is a really brave and strong woman. Her positive and optimistic mindset, as well as the fearlessness and calmness she showed in the face of death has had a profound impact on my life,” the actor said. Neither the actor nor his management agency has replied to queries regarding the reports, though it is rumoured that the memorial service for the actor’s mother had been held last month. Following the eruption of a cheating scandal involving Hong Kong singer-actor Andy Hui and Hong Kong actress Jacqueline Wong, all eyes have been on the actress, with many laying the blame onto the 30-year-old. In the video showing the duo getting intimate with each other in a taxi, Jacqueline is perceived to have taken the initiative, leaning over to kiss Andy several times and caressed his thigh. Since then, although the parties involved have apologised for their actions, with their respective partners forgiving them, the media flurry have not stopped. Reports have emerged claiming that Jacqueline has a history of cheating, and that her “true target” was the CEO of Andy’s management agency. A neighbour also claimed to have seen two different men enter Jacqueline’s apartment at night since the actress started dating Hong Kong actor Kenneth Ma. ​TVB executive Virginia Lok has also stepped forward to address the media on behalf of Jacqueline, providing an update on her condition. Sharing that the actress is currently “emotionally unstable”, she added that it was Jacqueline’s decision to temporarily stop all her activities. “We are all worried about her,” she concluded. “This is something that none of us wanted to happen. (They’ve) already admitted to their wrongdoings, and have been forgiven. As long as those directly involved have come to a consensus, (the public) should give them some space and time." Hong Kong media have also confirmed that the actress at home has not left her house in days. According to reports, Jacqueline “looks tired and often paces around her home”. She was also spotted with her head down on the dining table, and seemed to be crying. There has been a clear division in public sentiment after these reports emerged, with some worrying about her mental health, while others stated that what she is going through is the consequence of her actions. 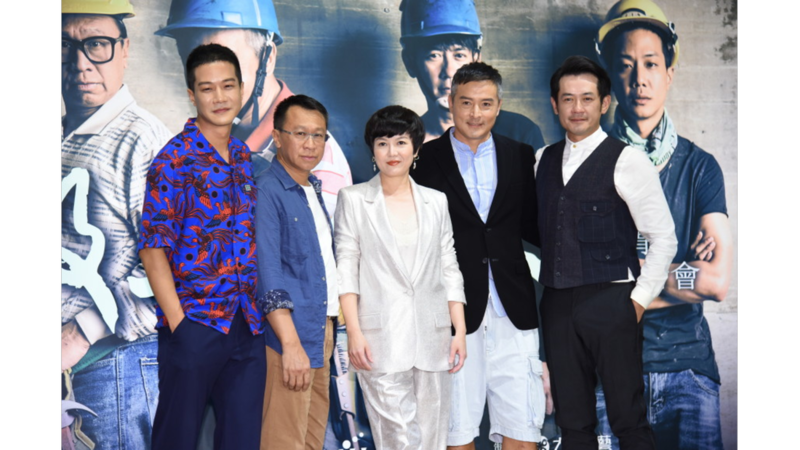 ​Filming for upcoming Taiwanese television series Zuo Gong De Ren (roughly translated as Building Workers), which is based on Lin Li Ching’s best-selling novel of the same name, has come to an end. On April 23, a wrap party was held in Taipei, with director Fen Fen Cheng and stars Christopher Lee, Alex Ko, You An Shun, Miao Ke Li, and MC40 in attendance. They talked about their experience filming on a construction site and about trying to convey the thoughts and feelings of construction workers. ​Hannah Quinlivan attended a celebration of Japanese skincare brand DHC’s 20th anniversary in Taipei on April 23. The Taiwanese actress revealed that both she and her children have sensitive skin. However, thanks to the products that DHC send to her, she can go about her skincare routine without worrying about breakouts or allergies. With two new films set to begin shooting this year, Hannah will be very busy and will have less time to spend with her family. However, she sweetly shared that one of her little secrets to keeping the love alive between her and her Mandopop superstar husband Jay Chou is to find a bit of time to pamper each other every day. 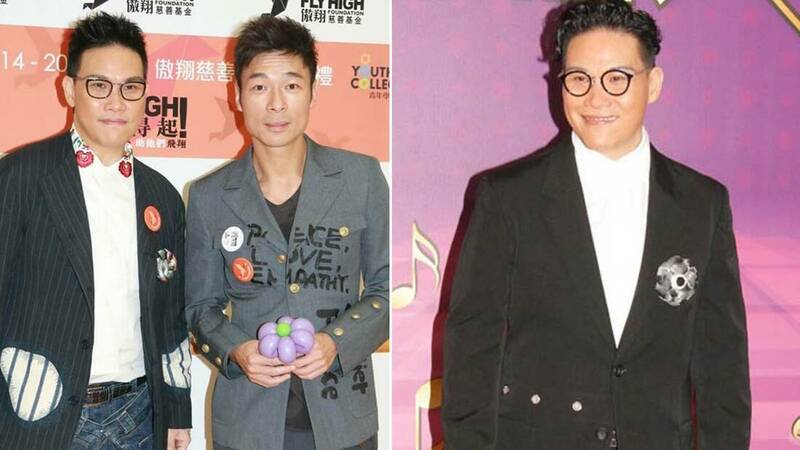 ​Hong Kong actor-singer William So first came under fire from angry netizens last week. He liked a post that Hong Kong singer-actress Sammi Cheng made on Instagram, where she announced that she has forgiven her husband, Hong Kong singer-actor Andy Hui for cheating on her. He had gotten intimate with Hong Kong actress Jacqueline Wong in the back of a taxi. Netizens were reportedly unhappy with William expressing his approval of Sammi’s decision, with many criticising him for not knowing better despite being a two-time divorcee. As Andy and William are close friends, many suspected that he had known of Andy’s misdeeds even before the video had been released. Recently, it was reported that William cancelled the release of his new song, titled ‘Ni Na Wei'. According to the reports, the lyrics of the song are uncannily similar to Andy and Jacqueline’s cheating scandal. Thus, William against releasing it after considering the current situation. The song’s music video, which was shot in March, also tells the story of female picking up a married man at a hotel bar. The music video is said to have cost HK$200,000 (approximately S$34,600) to produce. The song was said to be a preclude to his upcoming June concert, titled All That Jazz & Pop Live 2019. The singer’s agency confirmed that the song will not be released. When asked if it was due to William’s decision, they would only answer, “ We respect William’s wishes”. The singer has not personally commented on the issue at press time.